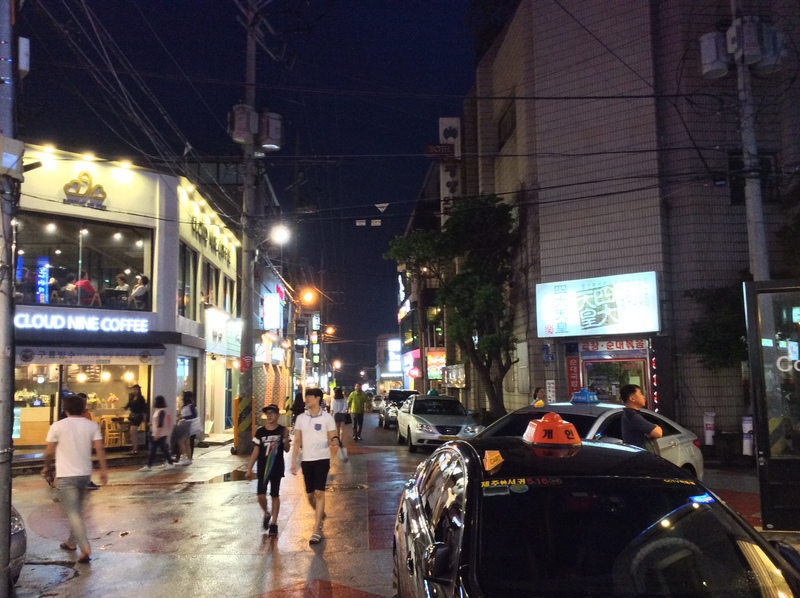 Youngsters living inside the Jeju city usually hang around at three distinct locations. 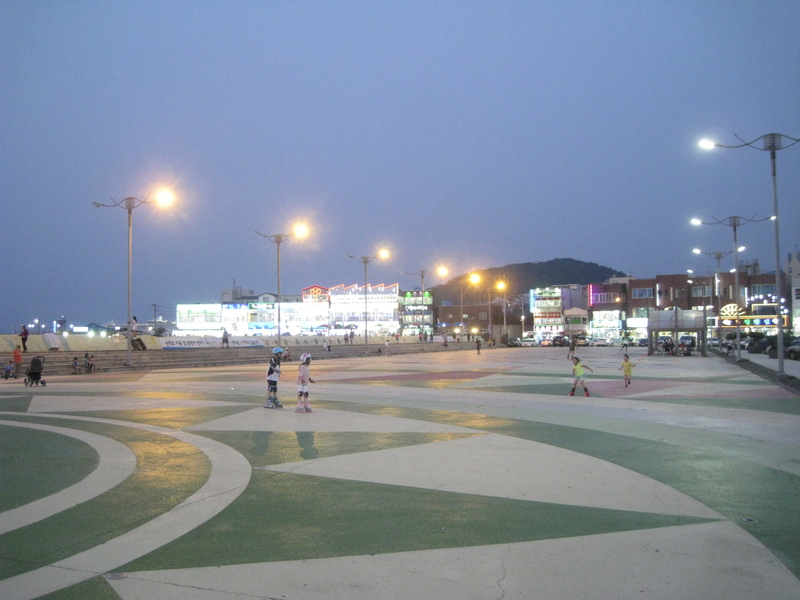 Cityhall Area, Shinjeju Baozen Street and Topdong Seaside are those. 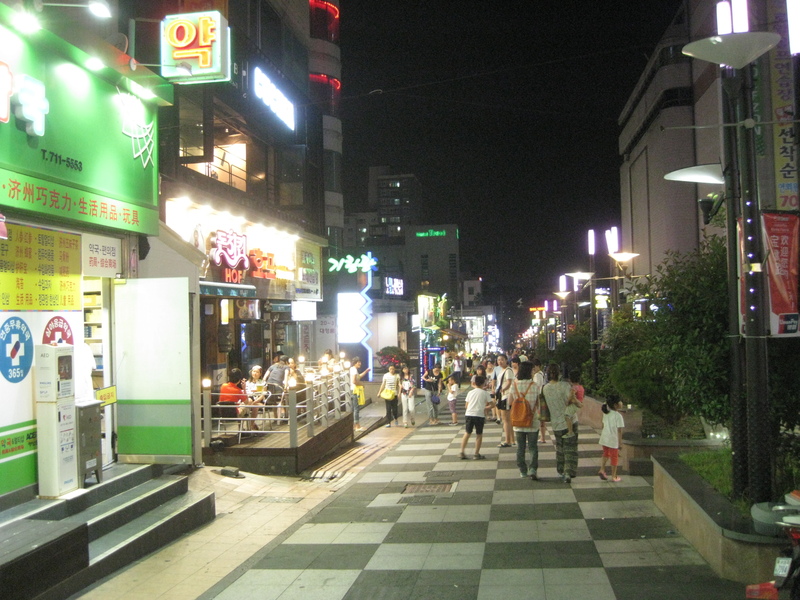 To hang around with locals or go to bars, visit Cityhall Area. 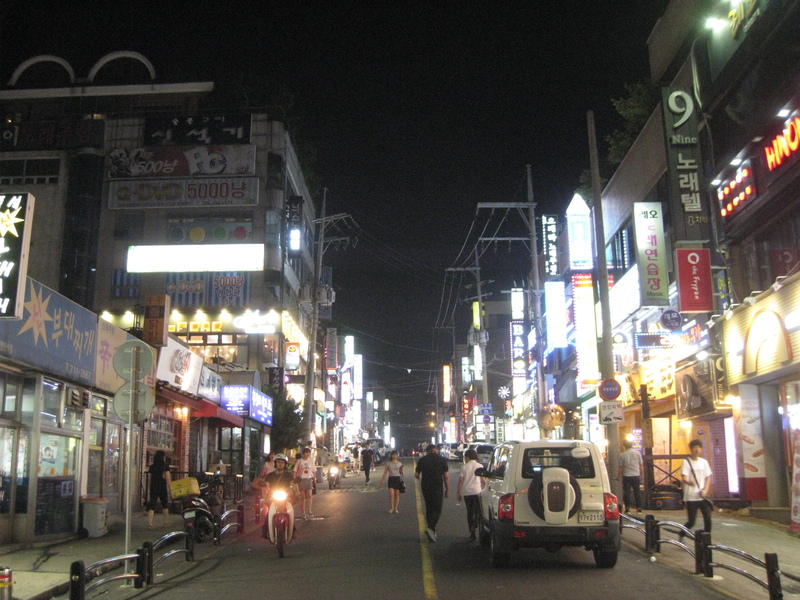 Just like any locals in South Korea, locals and tourists here love to drink and have fun throughout the whole night. 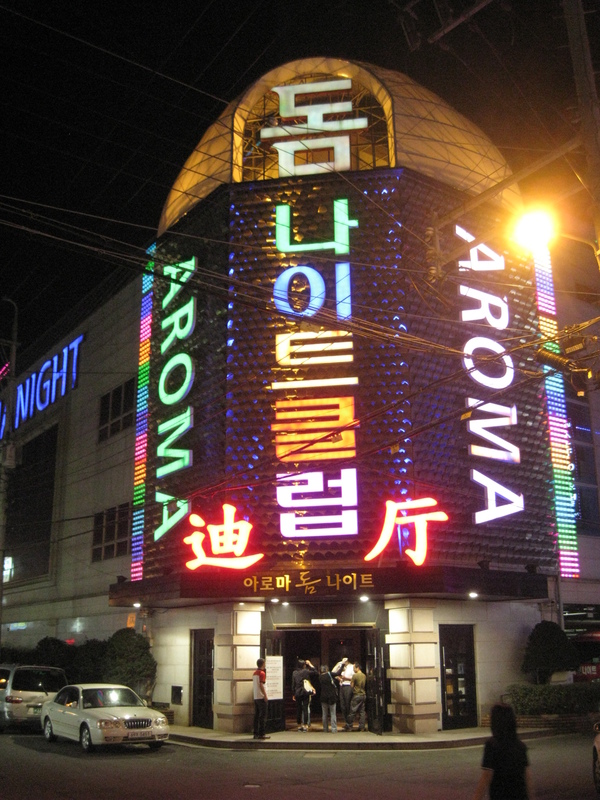 Night is filled with illuminating signboards and drunken people, so come take a look at how locals enjoy themselves! 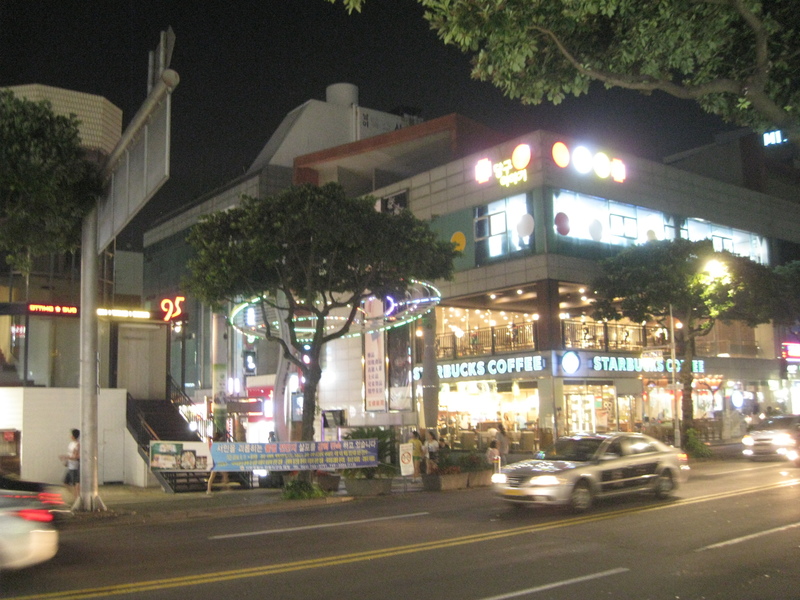 Cityhall Area at night. Cityhall Area is more for locals among the three locations I mentioned above. Karaoke with beers. 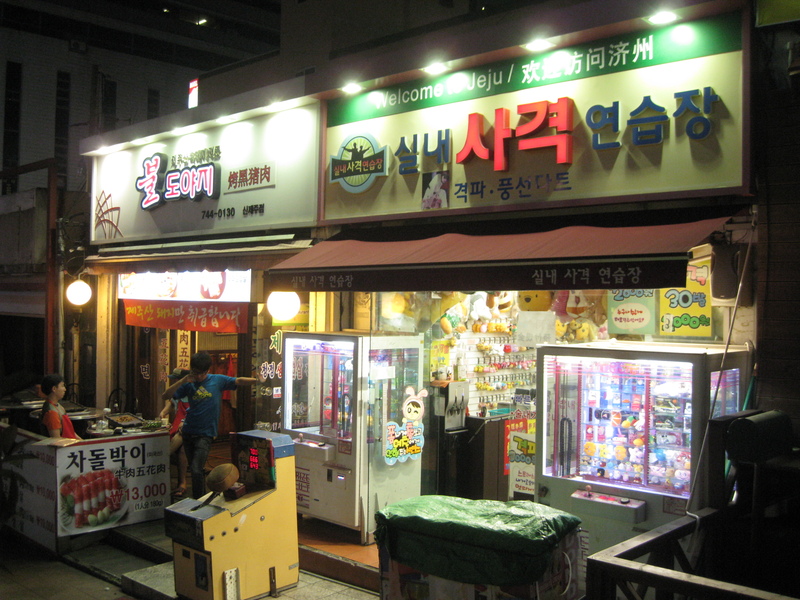 If you want Karaoke with beers, visit one of ‘술마시는 노래방.’ Usually costs more than $30 per one person. Locals usually go visit Cityhall Area, because it has always been that way. The reason might be that local merchants there cannot speak English well. 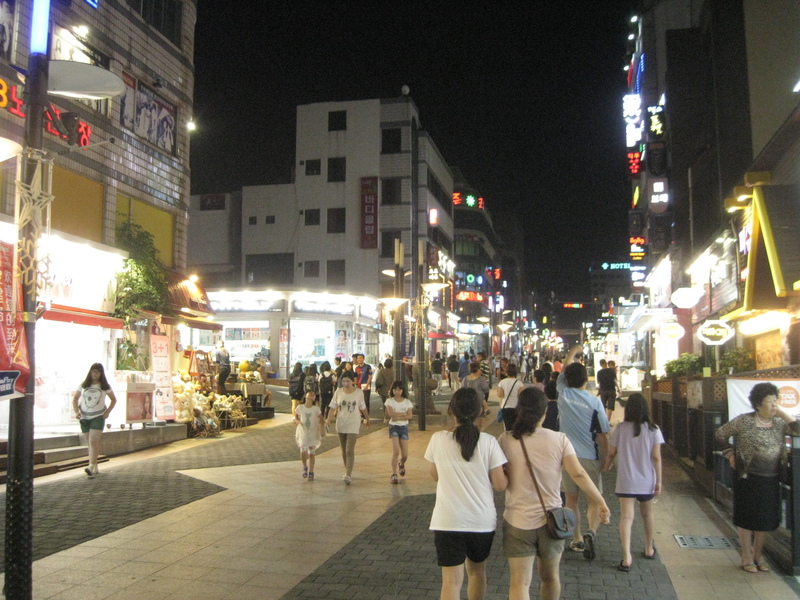 Unlike the Cityhall Area, Shinjeju Baozen Street is more tourist-friendly and most of the merchants can speak basic English and Chinese. 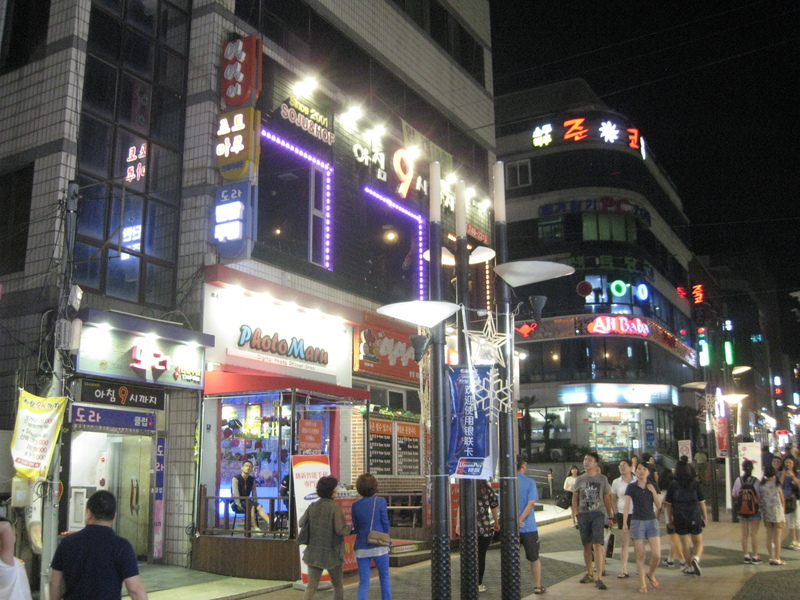 Domestic tourists and businessmen come visit Baozen Street more, as here you can find more various kinds of bars and pubs. 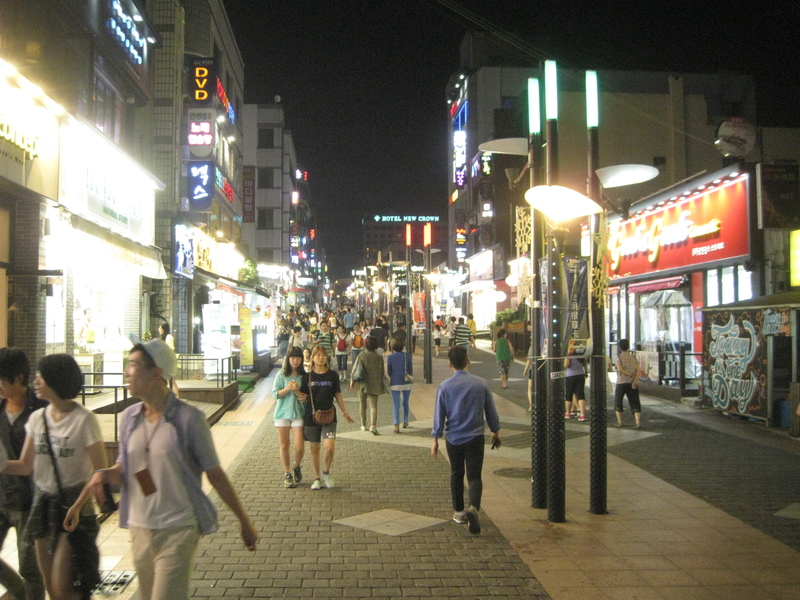 Shinjeju Baozen Main Street. 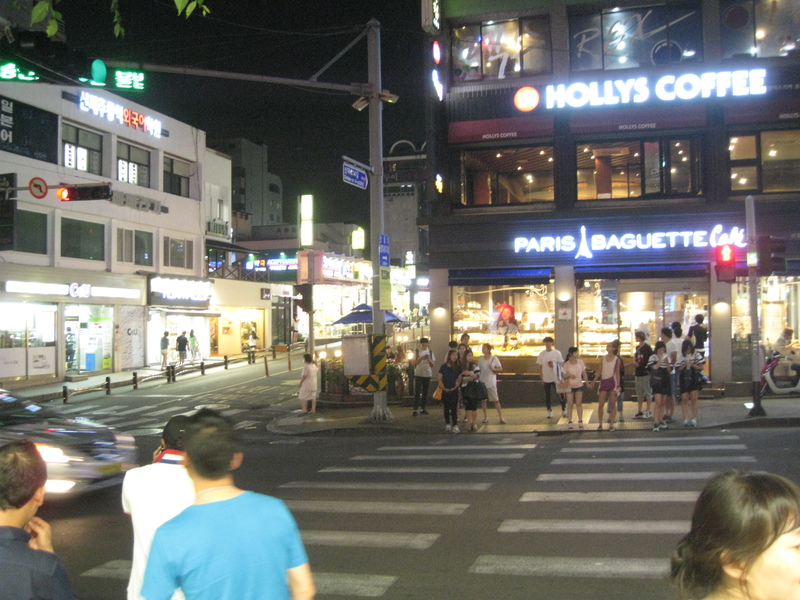 Streets are not much crowded during the weekdays. Road to the Main Baozen Street. 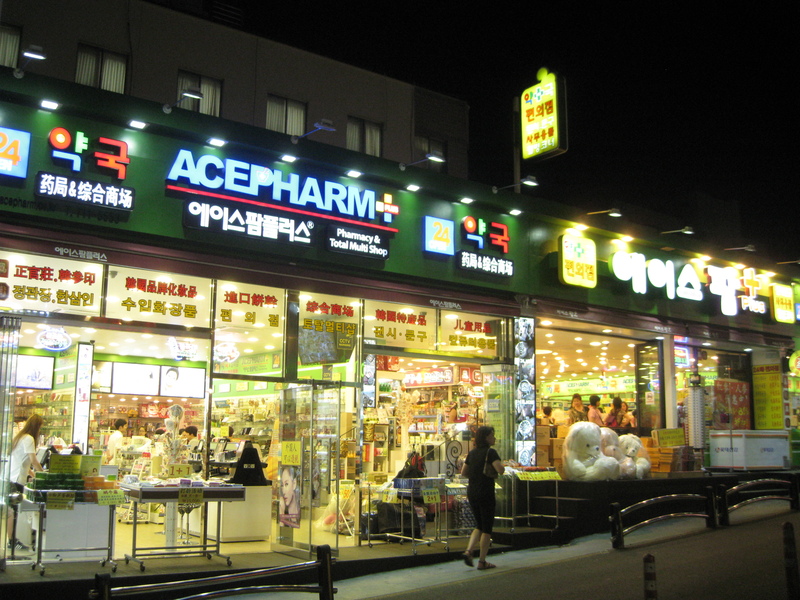 Pharm that sells more than pills. It actually sells everything and opens 24-hour. 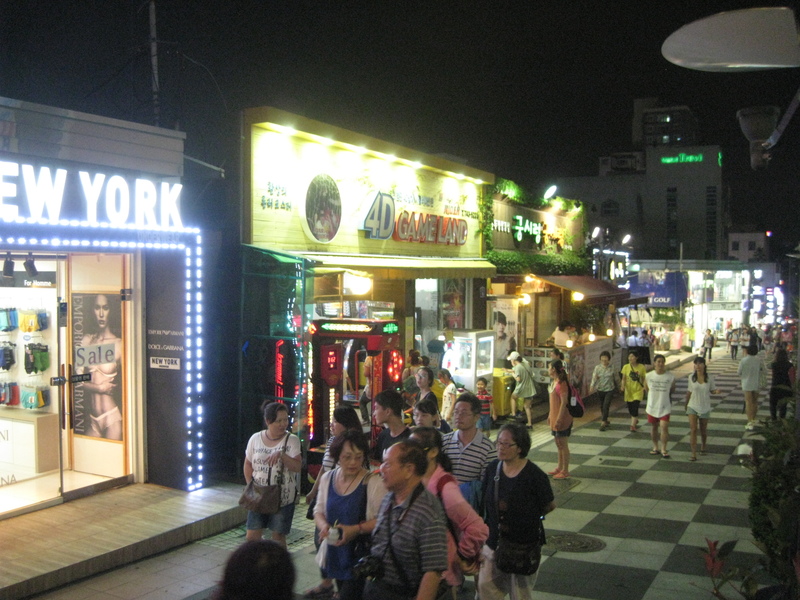 When tourists come visit the island, you will see so many signboards decorated with illuminating lights. Those are mostly for the office workers and well-off tourists, so curious guys who are not willing to pay more than $100-300 should stay out of these places. I still wonder what would I see if I go inside. Would I get an A+ grade for the entry? 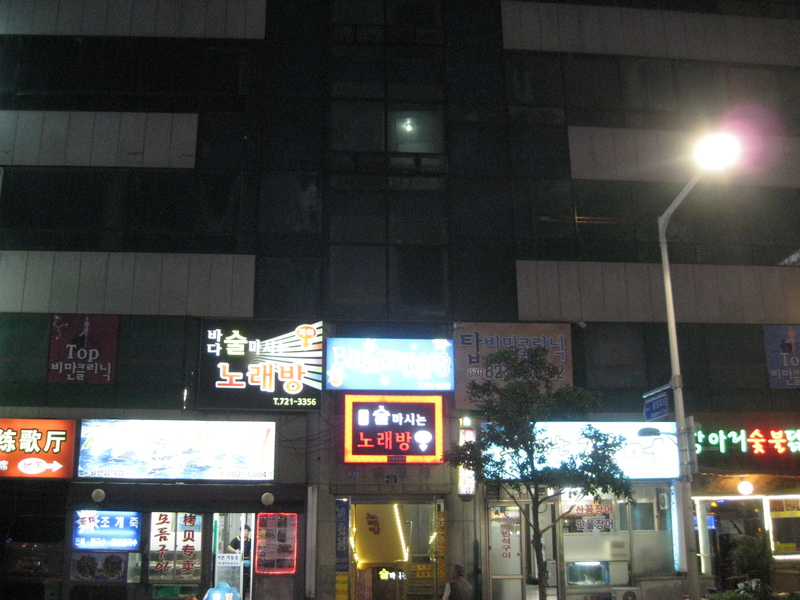 Last place that I recommend is Top-Dong. 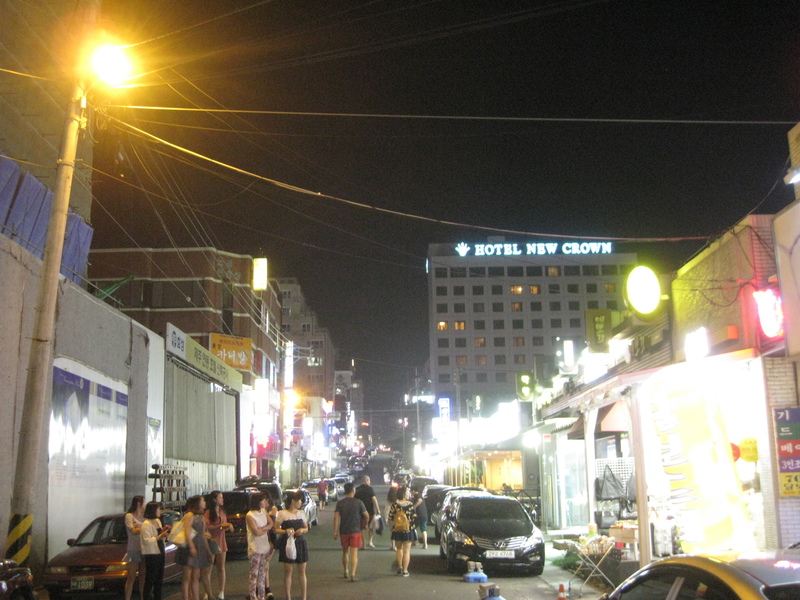 Top-Dong is filled with locals drinking near the tripods, so those who’d like to have some raw seafoods can have soju and raw fish meat here. Youngsters tend to come here for something active. Let’s start with Top-dong. 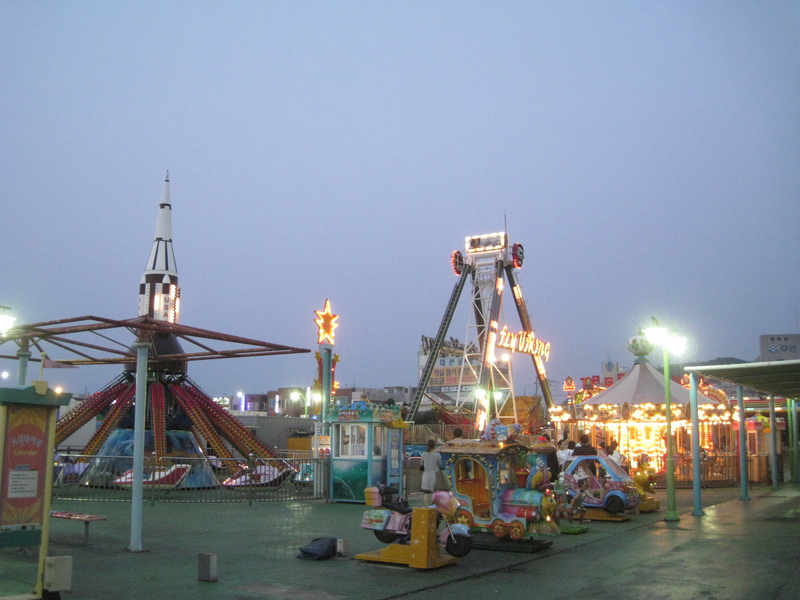 The only amusement park in JejuCity. Kids might like it here. Rollerblading, Skateboarding, Basketballs. Topdong seaside is for active locals. 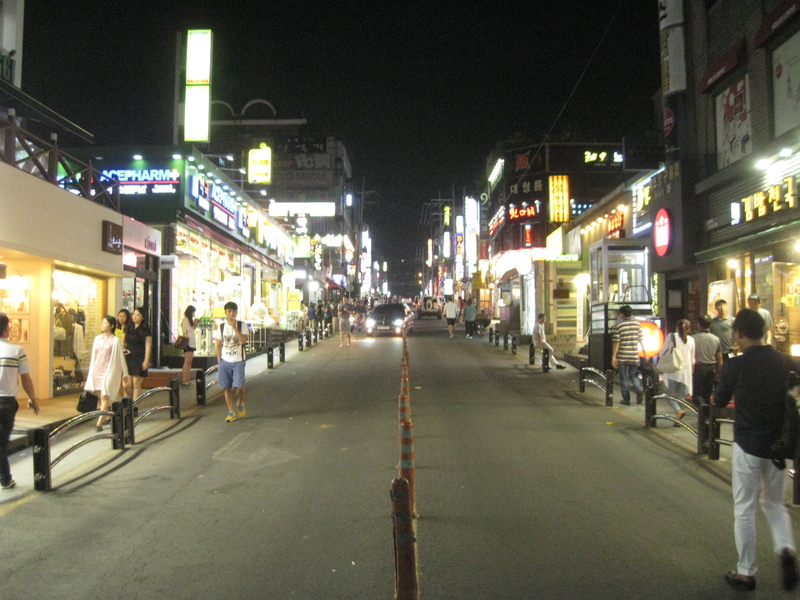 Of the 3 places I mentioned, Shinjeju Baozen Street is the place where most tourists and businessmen visit. Cityhall would be a good place to go if you want more localized experience. 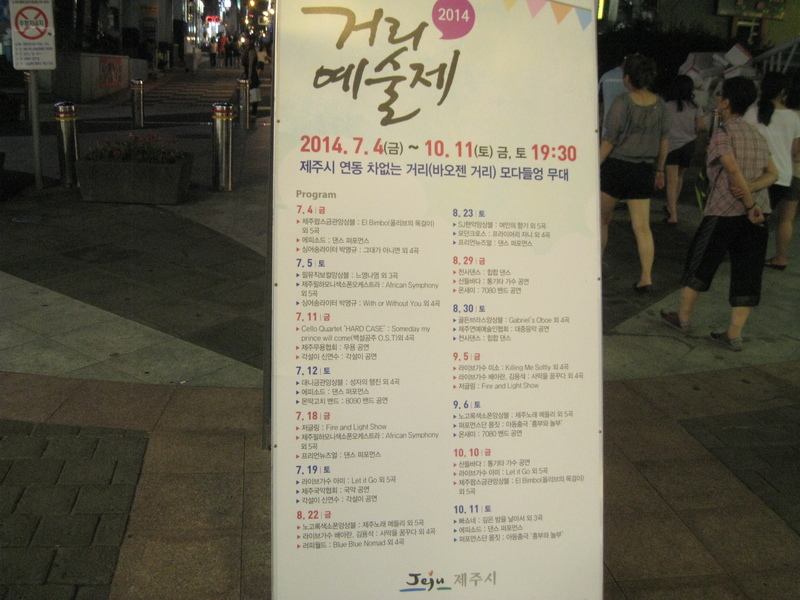 Since Top-Dong is not too faraway from Cityhall, You might wanna go to Cityhall Area after visiting Top-Dong! 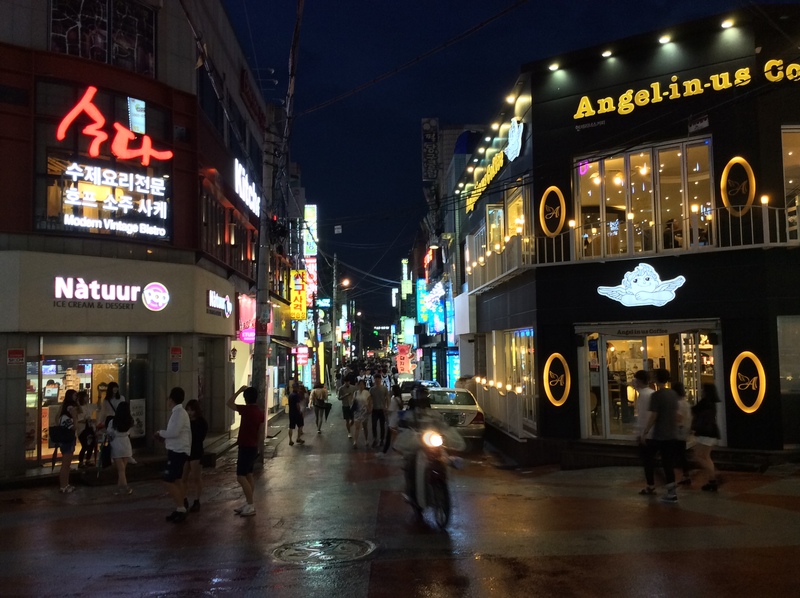 Hai, how to go Shinjeju Baozen Street from Lyndon Hostel? 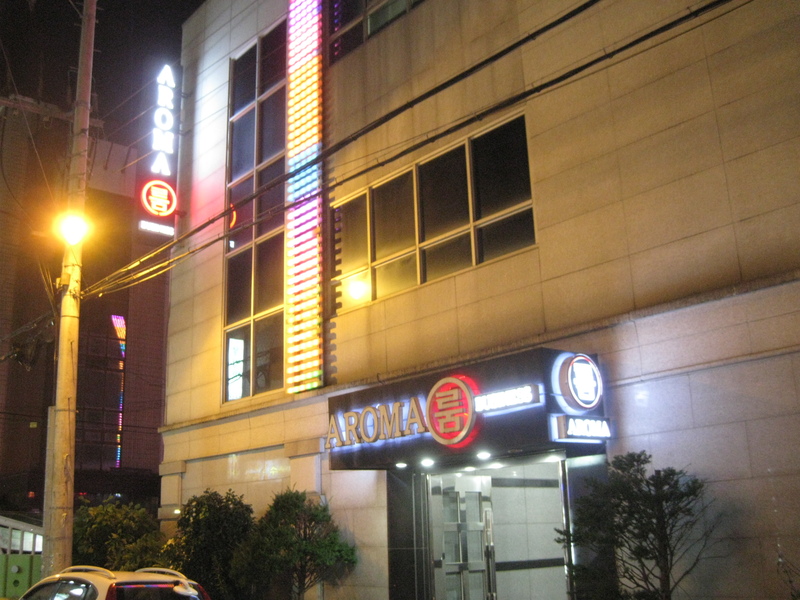 I will stay at Lyndon Hostel at 278, seogwang-ro, Jeju-si. 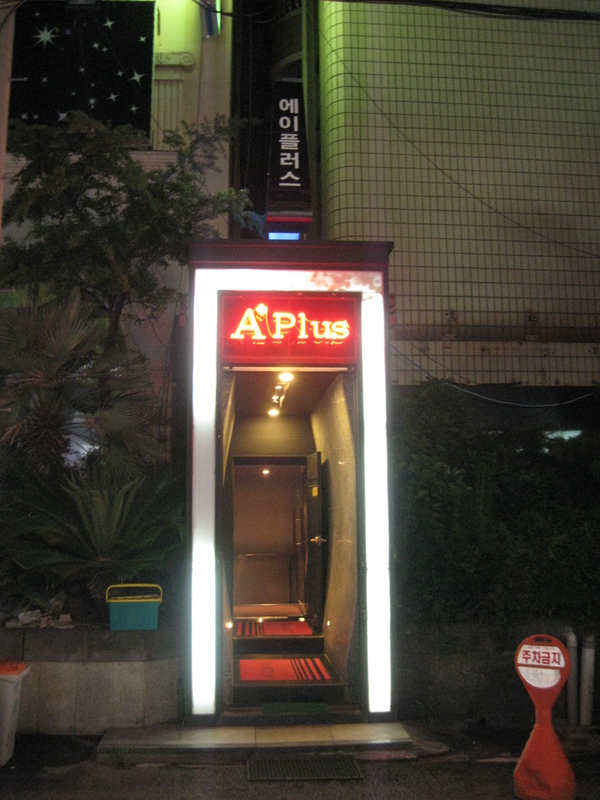 Just take a cab :] It’ll only cost you 5,000won. You can take a bus 502 or 100, but it takes far longer to arrive and it’s not worth the time. 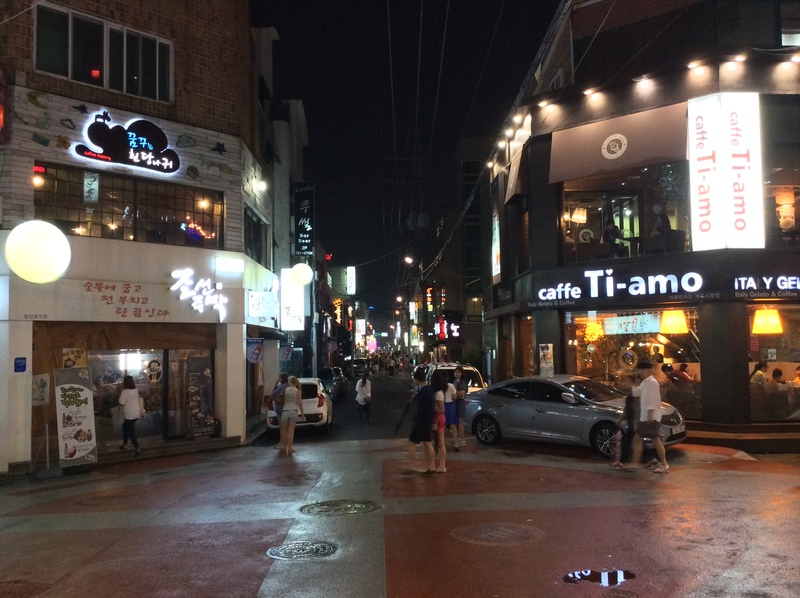 And since B-street is similar to Cityhall area, you might be disappointed if you expect sth more than just a street. Enjoy the trip!